Football season is the best time of year in a college town, but in Lubbock it’s everything. 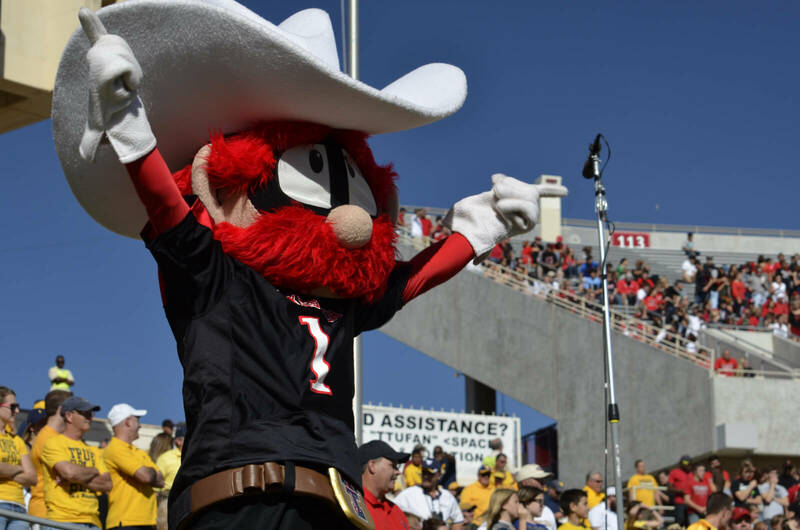 Each Saturday you can expect to see thousands of fans decked in their red and black game day gear invading every nook and cranny of Northeast Lubbock, and the energy is contagious. 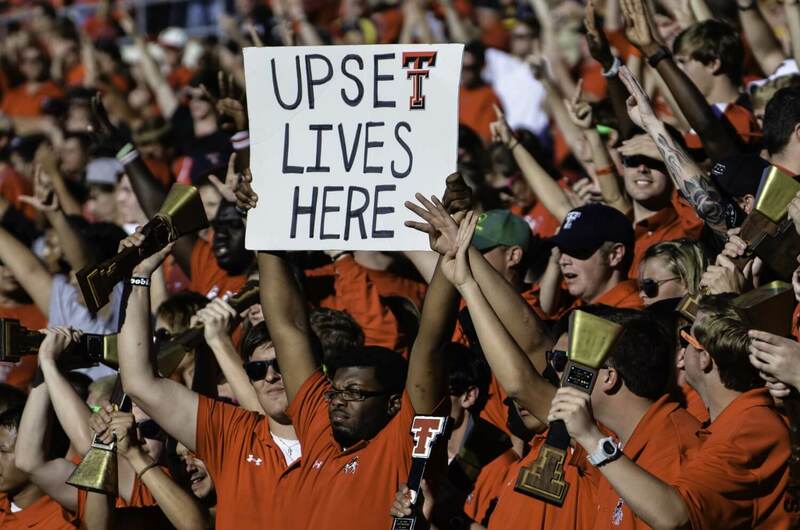 Often hailed as one of the best football towns in America, Lubbock prides itself on school spirit. 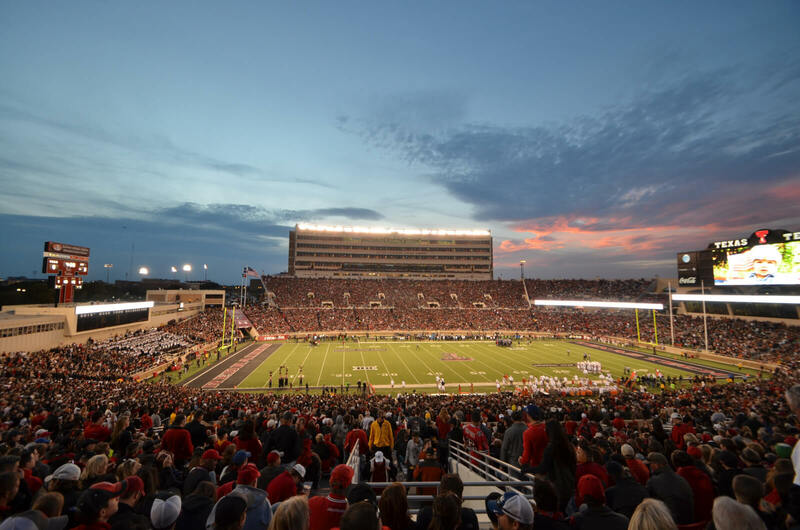 From watching the game at a rooftop bar across from the stadium to hearing the “Raider-Power” chant echo throughout Jones AT&T Stadium, here are just a few of the reasons Lubbock is a top football town in Texas. Catch the game while enjoying the best view in Lubbock at The Roof, an aptly named rooftop bar located right across from the stadium. The Roof is known for its novelty drinks and ice-cold beers, along with live music (usually before kickoff, during halftime and after the game). You’re advised to come hungry for the Raider Park Grill downstairs and stay late for more game day celebrations. This location is a local favorite for cheering on the Red Raiders, and with the laid-back atmosphere and large screen TV’s, we can see why. You can’t walk into Caprock Cafe without sampling their legendary queso with an ice-cold draft beer. The menu includes an array of options, but everything includes a little bit of spice and a whole lot of flavor. With a big screen in front of you, a community environment and a delicious meal, there’s no better way to spend a game day in Raiderland. Longing for a sports bar atmosphere that reminds you of “Cheers?” Head over to Nick’s Sports Grill & Lounge where bar owner, Nick Muscari, will make you feel right at home. Take your game-watching experience to the next level and reserve one of the VIP areas, where several tables and large TV’s are reserved for your group only. While you’re there, start out with cheesy, flavorful spinach and artichoke dip or authentic Texas-style jalapeno poppers and finish up the game with a juicy burger or delicious pizza. In Raiderland, game day starts early and ends late. Start your experience at the center of it all, Raider Alley. The tailgating celebrations are reputed to be among the nation’s largest (and might we say best) featuring pre-game events with dozens of vendors and big-name sponsors. During the party, you and your group can browse through some of Lubbock’s favorite food vendors like Fuddruckers, Cagle Steaks and many more. Don’t miss the pre-game show hosted by the Texas Tech Cheerleaders and Spirit Squads. The celebrations are for everyone in the family, including the kids, complete with bounce houses and live music. 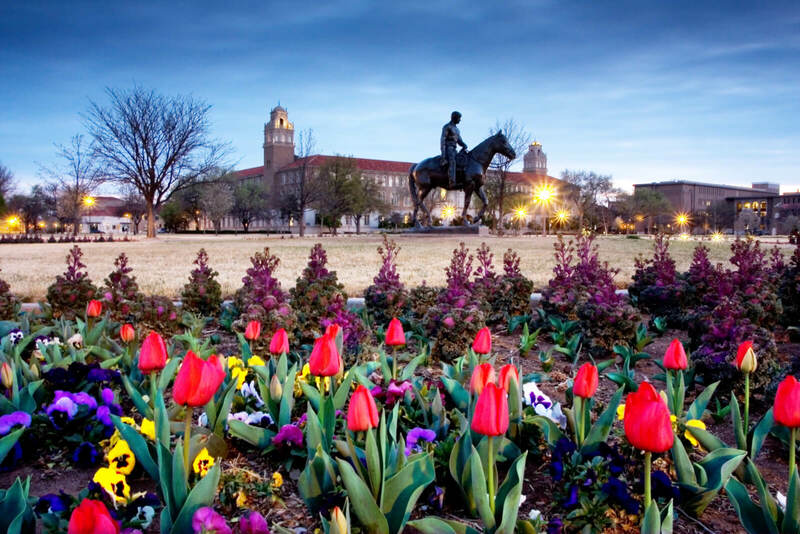 With limited parking on game day, a walk through Texas Tech’s beautiful campus is a given. You may even run into some Red Raider traditions on your way to the game and a perfect opportunity for a photo-op. Every night before the game, the Texas Tech Saddle Tramps wrap the statue of famous Wild West heroes, Will Rogers and his horse, Soapsuds, in crimson red. Legend has it that the statue was rotated approximately 23 degrees to the east so the horse’s backside is facing Texas A&M University—a former Texas Tech rival. There is no other entrance in college football quite like that of the Masked Rider. The cheerleaders begin the traditional “Raider-Power” chant that fills the entire stadium as everything else goes quiet. You can feel it in the atmosphere when the gunshot signals the Masked Rider, on a black horse, to make their grand entrance. As they fly across the field, the Texas Tech football team is not far behind, blazing out of the smoke billowing at the entrance of the Red Raider’s tunnel, and just like that, football season is finally here. After four full quarters of cheering on the Red Raiders, it’s practically a Lubbock tradition to toast the team with a drink at Chimy’s Cerveceria. Pair their Gran Torino margarita made with top-shelf tequila with their equally legendary patio and a Texas Tech win, and you’re sure to end game day on a high note. Located across the street from Chimy’s, this local favorite boasts an impressive 97 beers on tap. While you’re sampling a new brew or indulging in an old favorite, challenge your friends to game of giant jenga, shuffleboard or a round of pool. From a large selection of Texas beers and liquor to the rustic décor and mason jar lighting, the Local Bar and Grill will make you feel right at home after you leave the Jones. Cap your night off with a Local ‘Rita or take a stiff sip of the South with a Texas Tea. Regardless of your drink order, you won’t want to miss their menu. It’s chock-full of pizzas, sandwiches and burgers, all served with a local twist. From sun up to guns up until it’s time to raise your glass, you’ll find there is no better place to spend a college game day than in the “Hub City!” For more recommendations on what to see and do while you’re visiting, be sure to check out the Visit Lubbock event calendar at www.visitlubbock.org/events!